1. Pasta isn't originally from Italy- or is it? Italy and pasta are synonymous, so it might come as a surprise to discover the Italians might not have invented it. According to Food Network Canada, the Chinese have been eating noodles since as early as 5000 BC. Many people credit the famed Italian explorer Marco Polo for having brought pasta to Italy from China in the 13th century. However, the International Pasta Organisation reckons this is a myth based on the plot of a popular movie from the 1930s. They say pasta dates to Italy’s ancient Etruscan civilisations and Sicilians had been making it for over two centuries before Polo returned from his travels to the Far East. That’s according to America’sNational Pasta Association. Here are some shapes you probably didn’t know existed: gigli (resembles a bell-shaped flower),rotelle (wagon wheels), mafaldine (ribbon-shaped) and anelli (thin circles). Pasta names might sound charming in Italian but they lose some of their appeal when directly translated into English. The word “pasta” itself literally means “paste”. “Linguine” means “little tongues, “orecchiette” is “little ears” and “vermicelli” translates as “little worms” – try not to think about that when forking some into your mouth. The Guinness World Record for the largest bowl of pasta was set in Poland in 2015. it took 40 chefs over 19 hours to cook and prepare it. “Fatti’s & Moni’s is a part of South Africa’s Italian heritage but the two names didn’t always live so happily side by side,” explains the brand’s website. In 1896, Luigi Fatti opened a small Joburg grocery store selling Italian foodstuffs. A decade later, brothers Pietro and Giacomo Moni set up a similar shop. When World War 1 made it difficult to import goods from Italy, the Moni brothers decided to start making their own pasta. This was the start of a fierce rivalry between the two businesses which lasted until 1925 when a “peace treaty” was signed and they merged to become the United Macaroni Company. This was renamed Fatti’s & Moni’s in 1982 and today it’s owned by Tiger Brands. 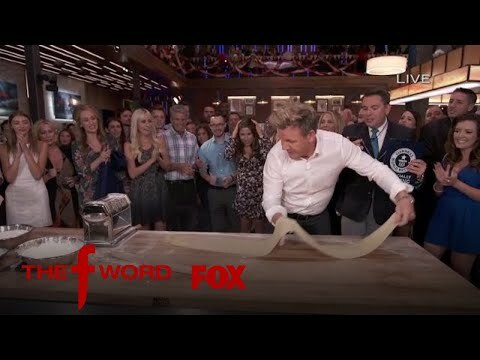 In 2017, the British celebrity chef set a new Guinness World Record for the longest pasta sheet rolled in 60 seconds – and he caught it all on camera for an episode of his show The F-Word. The sheet he produced was 144.78cm long. The baked macaroni cheese from Nikki Werner and Brandon de Kock’s award-winning cookbook Cook. Better.is the recipe that has got the most clicks on our website over the past couple of years. Check out this and other delicious pasta recipes here.